The Austin Health and University of Melbourne study published in PLOS ONE today, found patients with coronary artery disease who had a high level of an enzyme called ACE2 were more likely to die or suffer from a heart attack over the next 10 years. Austin Health and University of Melbourne researcher Professor Louise Burrell said the study could change clinical practice for a disease that remained the leading cause of death in Australia. "We have come a long way in treating coronary artery disease but certain patients continue to be at high risk of dying. 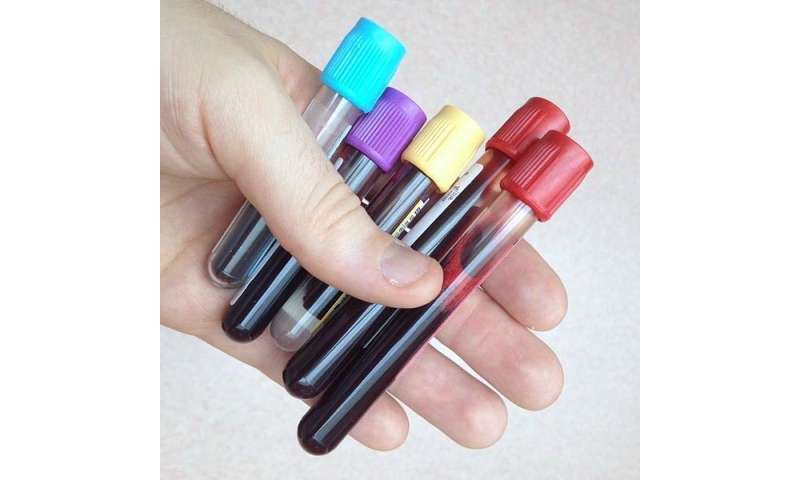 This new blood test helped identify such patients who may derive benefit from more aggressive treatment," Professor Burrell said. Professor Burrell said in healthy people, circulating ACE2 levels were low, but increased once cardiovascular disease or risk factors were present including heart failure, atrial fibrillation, kidney disease and diabetes. Researchers recruited 79 patients with coronary artery disease and followed them up long-term. Over the next 10 years, heart failure, heart attacks and death occurred in 46 per cent of patients, and this occurred more often in those with the highest ACE2 levels. Coronary artery disease is a condition in which the heart's own blood supply is narrowed or blocked due to build-up of plaque. It can lead to chest pain (angina), shortness of breath or a heart attack. As it progresses it may cause permanent heart damage leading to heart failure. High blood pressure, unhealthy cholesterol levels and diabetes increase the risk of it developing.